I just figured out how to make decent fur for graphics. It's my first time doing fur so I know it's not perfect or amazing but it looks good! It takes some time and effort but in the end it's worth it and it's pretty simple. What I decided to do next was fill in the darkest parts. 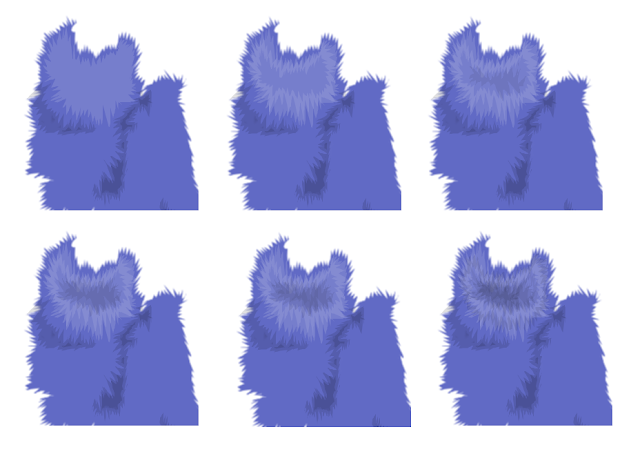 This helped with the fur pattern later on. I did two layers for this before moving on. As always posterizing the reference picture helps a lot when drawing anything for a graphic. Doing it section by section makes it a lot easier. This is how I did each layer. I used black and white not different shades of blue. 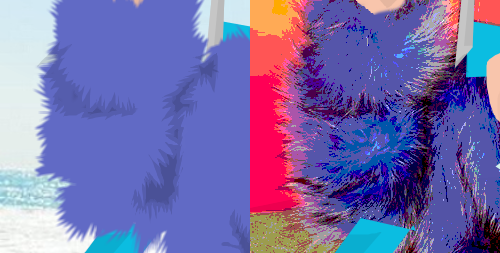 It's all about building up the layers to make it look more like fur. I repeated the same pattern for every section. What would my doll pack?